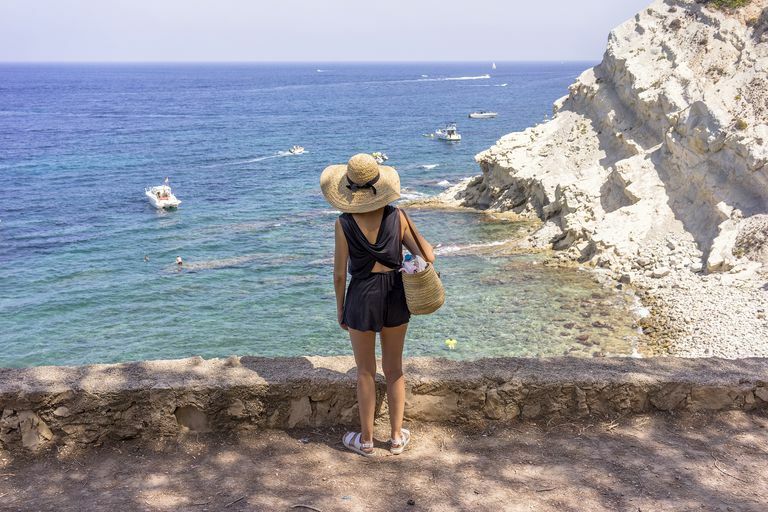 Those Gucci tortoiseshell sunglasses, that APC wicker basket bag, and a Meghan Markle-inspired panama hat might be on your holiday packing wish-list this summer, but we have another item to add: a teaspoon. No, cutlery isn’t set to be a new trend for AW18, nor a ‘fail-safe’ musical instrument if your Spotify loses 4G on the beach. Rather, a spoon might be your go-to device to save you from painful burns, tan lines and risk of skin cancer. According to a new study from King’s College London, sunbathers are risking skin cancer by failing to put on enough sunscreen and should be using the ‘teaspoon method’ to ensure adequate protection. Bare with us on this one. Scientists have found that people are actually getting less than half the sun protection they think from their suncream because they apply such thin layer. So, how much cream are we meant to be applying? Well, the Telegraph reports suncream manufacturers calculate SPF protection layers based on 2mg of cream per cm2 of skin. However, the majority of people use just 0.8mg for the same area which is equal to 40 per cent of what they should be using. As a result, scientists suggest sun worshippers should apply at least half a teaspoon (3ml) to each arm, the face and neck. A full teaspoon (6ml) should then be applied to each leg, and the front and back of the body. Author of the report Anthony Young, Professor of Experimental Photobiology at KCL, said that an average-sized woman wearing a bikini in the sun should be applying suncream at least three times a day. As a result, she should be going through one 100ml bottle of lotion per day. Professor Young also suggested that as people don’t use suncream in the same way they’re tested by manufacturers, people should use “a much higher SPF than they think is necessary”. The scientists’ study involved separating 16 volunteers into two groups of eight. The first cohort were exposed to ultra violet tradition to simulate sunlight over one day, while wearing suncream of varying thickness. The second group received exposure over five days to mimic sunbathing conditions on holiday. Researchers found sunburn was reduced by 40 per cent when cream was applied correctly. Skin biopsies also showed that proper sun cream application lowered sun damage 7.5 times compared to using no sun protection. So, when it comes to applying suncream this summer, it’s not just about what SPF you’re applying, but how much and how often. Who knew a spoon could help us figure out how much cream to apply this summer? Genius.